“Divisive groups and pages” will also be suggested to users less often, as a result of these changes. (Jacob Kastrenakes – The Verge) Facebook is once again tweaking how stories spread through the News Feed, this time going after posts that are “sensationalist and provocative.” The goal isn’t just to cut down on clickbait, but to cut down on misinformation and problematic posts that don’t quite warrant an outright ban on the site. 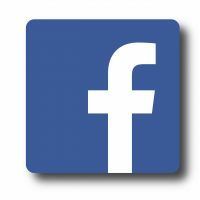 In a blog post, Facebook CEO Mark Zuckerberg writes that people naturally engage more with sensationalist content. Engagement with this content, he says, increases the closer it gets to being so problematic that it has to be banned. So instead of moving the line of what’s banned, Facebook is going to alter its distribution algorithms. Posts that Facebook’s AI detects as needlessly provocative will be distributed less and less, preventing them from seeing a spike in engagement.